GIG HARBOR – From the U.S. maps hung along the wall, to an overhead projector and rows of student desks, Mishelle Gillespie’s classroom is like most others. Except, her class is located inside a prison. Gillespie, a teacher from Tacoma Community College, is one of hundreds of education professionals who teach classes in everything from adult basic education, vocational trades and college-level courses within Washington State Department of Corrections, (DOC) prisons. Most teachers are employed at state colleges and universities and are contracted to teach courses at DOC prisons. And a handful—16—are volunteers with the Freedom Education Project Puget Sound, FEPPS, a program that offers classes at WCCW in which inmates can earn college credit. Gillespie says she’s learned a lot about the incarcerated population during her six years as a prison teacher. Despite what some people may think, she said, inmates can be some of the most motivated students. “There’s a misconception that these women may not be up to the challenge because of the circumstances that brought them to prison in the first place,” she said. While Gillespie and others find the work rewarding, it can be difficult to recruit teachers who are willing to teach inside a prison, according to Mike Paris, a DOC educational services administrator. Prisons often are not located near a city with higher education institutions. And, in addition to having the proper educational credentials, candidates must complete the same safety training corrections officers go through. Potential job candidates also raise concerns about how satisfied they’ll be teaching inmates. Gillespie teaches classes four days a week at the prison. Her students are working on obtaining high school diplomas, rather than taking a high school equivalency certification, GED® exam. It’s part of a pilot program launched last year at the DOC. A GED® or high school diploma is requirement to enroll in most vocational and college-level courses at the prison. During winter quarter two of her students earned enough credits to obtain their high school diplomas. By the end of spring quarter, she estimates about six more will receive their high school diplomas. Gillespie took a circuitous route to her career as a teacher in prison. After college, she spent five years in the U.S. Navy as a Russian and Spanish linguist. After her service in the armed forces, she took a job in Korea teaching English as a Second Language at a technical college. After that, she spent ten years teaching high school students in Beaverton, Ore., and one year at a California school, before moving to Washington. Gillespie was hunting for a new job when she saw the listing to teach at a prison. She knew from her days teaching English in Korea that she enjoyed teaching adults. “They’re on a more mature level than high school students and they’re willing to work hard to do what it takes to get their GED® or diploma,” she said. So she applied, and got the job. Gillespie spent the first half of her DOC teaching career at Mission Creek Corrections Center for Women (MCCCW) in Belfair before moving on to WCCW, teaching mostly adult basic education and high school and GED® prep courses. This quarter she’s teaching Pacific Northwest history, advanced mathematics and a work portfolio class. She spends more than two hours a day commuting between Gig Harbor and Olympia. When she comes home, she continues helping her students by finding supplemental information for their projects. For security reasons, inmates are not allowed to use the internet, or save projects on classroom computers. 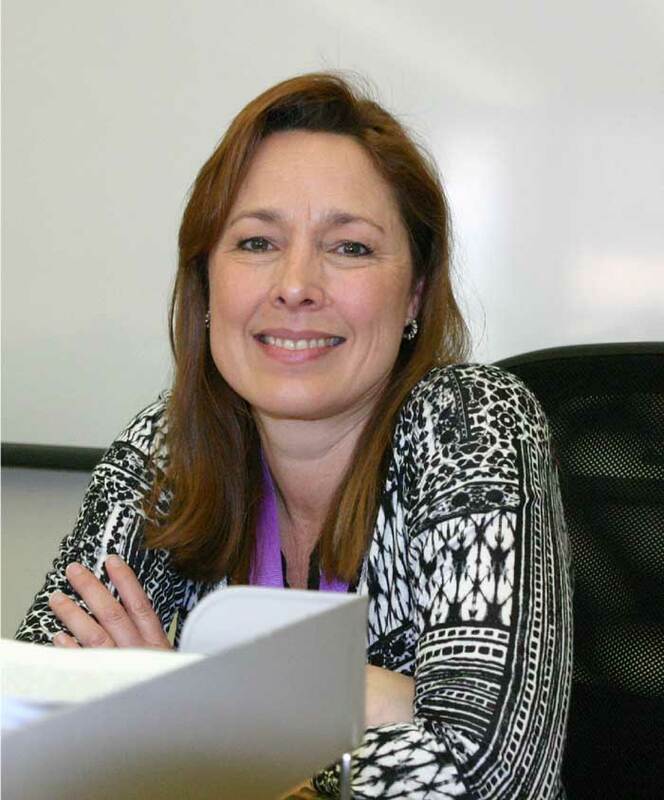 When her students need photos for presentations or want to read peer-reviewed articles on a subject for a research project, Gillespie will print those off for them at her home, and save her students’ work on a portable jump drive. Alyssa Acord, an inmate at WCCW, hopes to use her education to never return to prison. The 33-year old is serving a two-year sentence for assault, burglary and drug charges. As a child, she says she often got into trouble, getting into fights and hanging out with the wrong people. She ended up getting kicked out of school in seventh grade. She initially began a GED® prep course during her incarceration, but decided to pursue her high school diploma after attending one of Gillespie’s lectures on college options. She’s taking a full course load this quarter and recalled a time when Gillespie helped get her some articles about adverse childhood experiences for a research project she’s working on for a science course. She wants to get her diploma so she can enroll in the Trades Related Apprenticeship Coaching program at WCCW in which inmates can receive training in vocational fields such as carpentry, construction and iron working. Acord says she’s thankful for Gillespie for helping her achieve her education goals and she’s looking forward to building a new life for herself after her scheduled release in 2018.